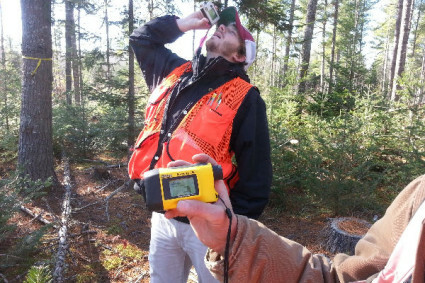 University of Maine Forestry students and their professors recently visited the a White Pine stand where the Crop Tree Release practice was applied. At the site, students measured the diameter and height of the White Pine Trees. The data gathered formed the basis of a study to show the benefits of crop tree release.